to Conrad “Connie” Brown Stanford and Mary “Florene” Fox Stanford, along with older brother James “Jim” Wayne Stanford Sr. Growing up Yvonne lived in small towns in South Central & South East Texas as her Daddy was a Mortician/Funeral Director, living upstairs in funeral homes. She also lived in Southern California with her grandparents for a short time. Yvonne was part of the 1st class at Mac Arthur High School and helped design the cardinal statue. Due to some medical issues she wasn’t able to graduate, later receiving her GED. Yvonne met and fell in love with her forever love when she was only 12 years old. She married Leo Glenn Mullen on April 22, 1967. Glenn was in the U.S. Army when they married and they lived in Germany for a while, where he was stationed. They settled in Irving and began their family. By trade, Yvonne was a Dental Assist/ Hygienist for Dr. Richard Cotton and Dr. Harold “Shorty” Watkins. She also worked at First United Methodist Church Day School Program as their Receptionist. When she wasn’t working for pay, she was full time mom to Connie Florene Mullen Riley and Cynthia “Cindy” Dianne Mullen Chilton, even after her disability in 1990 this was one job that did not end. Yvonne loved volunteering: some of her favorites were at FUMC-Irving, Joe Putman (during his 1st City council campaign) and anytime her girls’ schools needed help. The best title Yvonne loved was being Grandma to Nathan Allan Chilton (19 yrs), Emily Reese Chilton (17 yrs) and Maryann Jasmine Riley (15 yrs). They were her pride and joy!! Yvonne had many health issues throughout most of her life. She loved life and despite living in daily pain, made the best of every day; firmly believing Jesus Christ, her Lord and Savior, would heal her in this lifetime or in Heaven. Although Yvonne will be missed by her family and friends; they are rejoicing as she is now in Heaven and no longer in pain. 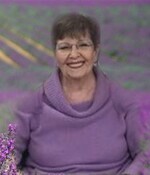 Yvonne left this earth on Friday, 2-8-2019 @ 6:34am; leaving behind husband of almost 52 years Glenn Mullen of Irving; daughter Connie Riley, husband Mark and daughter Maryann of Irving; daughter Cindy Chilton, husband Todd, son Nathan and daughter Emily of Irving. Niece, Deborah Stanford Harris of Raleigh, NC as well as multiple cousins spread throughout the USA. Yvonne is preceded in death by both parents, brother, nephew, James “Bo” Wayne Stanford Jr. and both sets of grandparents. The family will receive friends between 6:00 and 8:00pm, Tuesday, February 12, 2019 at First United Methodist Church, 211 W. 3rd St. in Irving. A funeral service will be held 2:00pm on Wednesday, February 13, 2019 at the church with an interment immediately following at Oak Grove Memorial Gardens. To send flowers to the family of Yvonne Mullen, please visit our Heartfelt Sympathies Store.